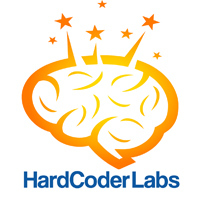 HardCoder Labs is located in the heart of Montreal, Canada and offers intensive 9-week Ruby on Rails boot camp. Classes are purposely kept small with 1 Teacher and 1 TA for no more than 20 students for an optimal learning environment. Our bootcamps are designed to suit both beginners who are new to programming as well as people who would like to improve their programming skills. HardCoder Labs is also dedicated to helping its students start their career and for this reason we have put in place partnerships with local companies who are constantly hiring young and talented web developers. Not only does HardCoder Labs help you find a job upon graduation, but if you work for one of our partners you will be eligible to have part of your tuition reimbursed as well. You can visit our website for more information at www.hardcoderlabs.com. With its dynamic IT community, its creative minds and its large media industry, Montreal is the perfect place to immerse yourself and jump start your new career. The city is host to very large, medium and small size companies and you will find the right fit for your needs and ambitions. We welcome International Students and while we do not directly provide housing, we will be happy to assist you with finding a place to live during your visit here. Montreal is a diverse, multicultural and bilingual city, so why not add French to the languages you’ll learn during bootcamp? Also, make sure you keep some time off to go to one of Montreal’s 100+ festivals or visit the Historic City Center. We believe in software development democratization and for this reason we want to make our bootcamps as affordable as possible. Of all the large cities in North America, Montreal is one of the most affordable. The cost of living, the cost of housing and the cost of our training makes this bootcamp one of the most affordable there is while offering a high quality curriculum by seasoned teachers in a dynamic environment thanks to Montreal’s vibrant IT community. Take advantage of one of Canada’s most exciting, vibrant and beautiful city to learn web development! If you have any questions feel free to contact us at info@hardcoderlabs.com or at our toll free number 1-888-907-2151.